Increasingly, businesses must operate in the moment and with greater agility to improve customer loyalty and create competitive advantage. This is driving the need for fresher operational insights. 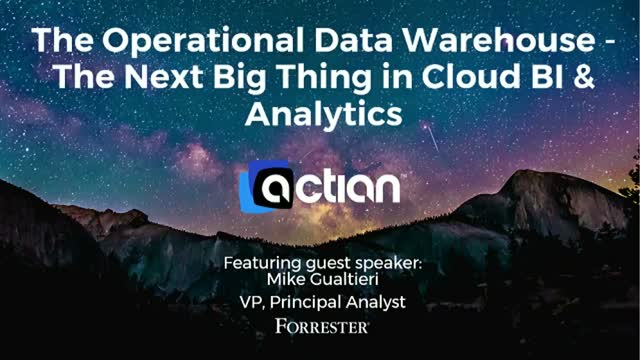 In this presentation Mike Gualtieri, our guest speaker will share his views on the requirements for next-generation data warehouses. Pradeep Bhanot will introduce the concept of an Operational Data Warehouse (ODW) that can deliver such in-the-moment analytics.